Back to the Roslin Beach Hotel again for Susan and Simon’s gorgeous wedding which took place on Friday 31st August. I loved their wedding cake! 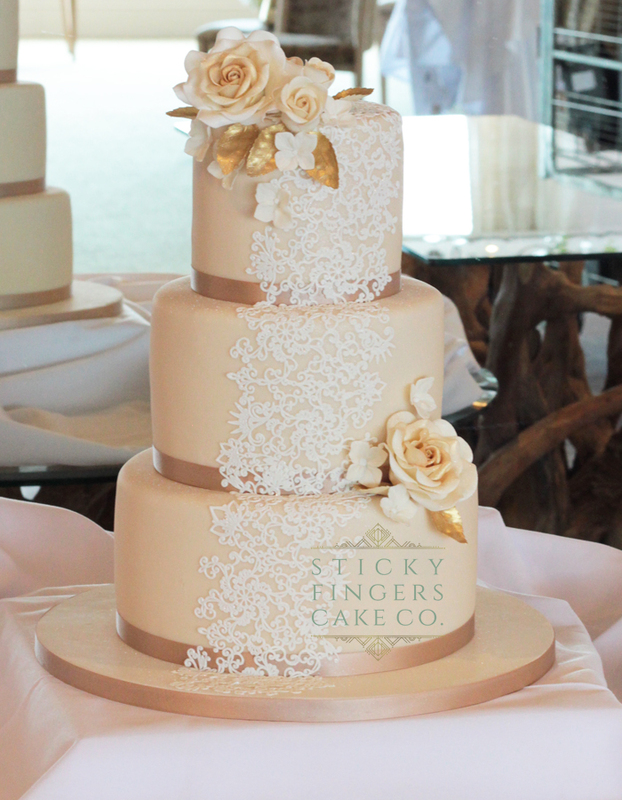 The colour scheme was so lovely – Ivory, coffee and gold and decorated with coffee and ivory sugar roses, gold lustred sugar leaves, sugar blossoms and a sugar veil which draped down the front of their cake, really striking and effective. Delightful, scrummy flavours of Cherry Bakewell, Victoria Sponge and Strawberry & Champagne. Displayed on the Roslin’s own cake stand. Wishing you warm congratulations and a long and happy life together!